The Miami Dade condo market took a slight dip this past week. There were 77 transactions for a total sales volume of $38,300,322. 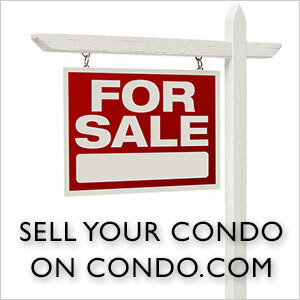 The average price for a condo was $497,407 or $322.52 per square foot. 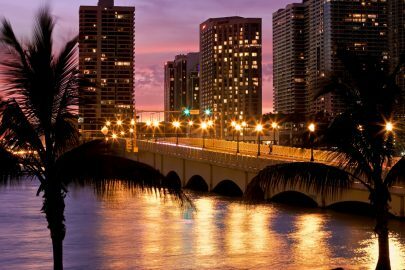 Miami was the top city with 42 sales for a total sales volume of $11,717,322. Key Biscayne’ s sales volume was a close second with $11,580,000 and just 3 closings. 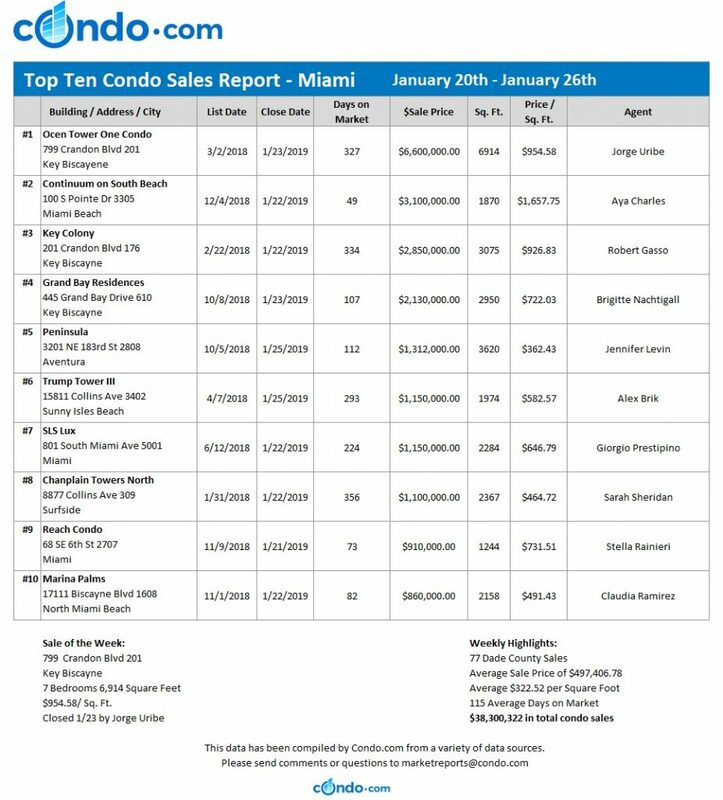 Miami Beach reported 6 transactions for a total of $4,011,500. The top condo sale of the week was a spacious 6,914 square foot property at Ocean Tower One in Key Biscayne. 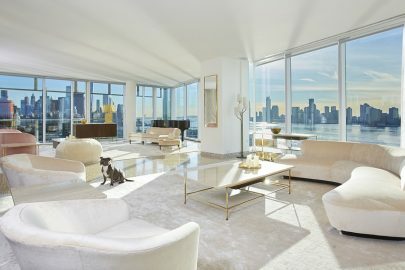 This unit at 799 Crandon Boulevard sold for $6,600,000, or $954.58 per square foot. After 327 days on the market, this condo was sold by Jorge Uribe. 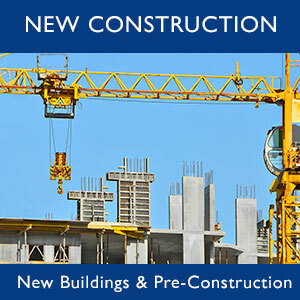 The Miami Dade condo market is looking forward to end the month on a high note.